St. Patrick’s Day is right around the corner and while I am not Irish, everyone gets to embrace a little bit of the Irish fun for the day! 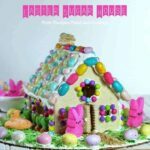 In my house, we are always looking for an excuse to make a creative dessert – so this St. Patrick’s Day treat will do just the trick! 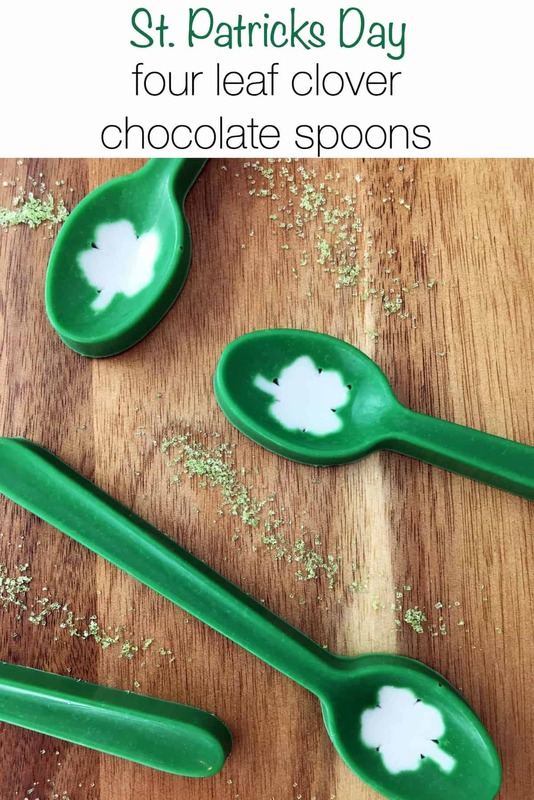 These Four Leaf Clover Chocolate Spoons and perfect to serve with hot chocolate to your little leprechaun! A Wilton Candy Melt Pot is great to heat candy melts. If you do not own a candy melt pot simply microwave candy melts at 50% for 30 seconds. Stir. Heat at 50% for 30 seconds. Stir. Heat at 50% in 15-second intervals and stir until completely smooth. Do not over heat. 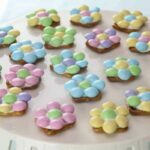 Carefully cut 8 4-leaf clovers (approximately 1 inch tall) from layer with fondant knife. Tip: Make your own 4-leaf clover template and simply cut around it! 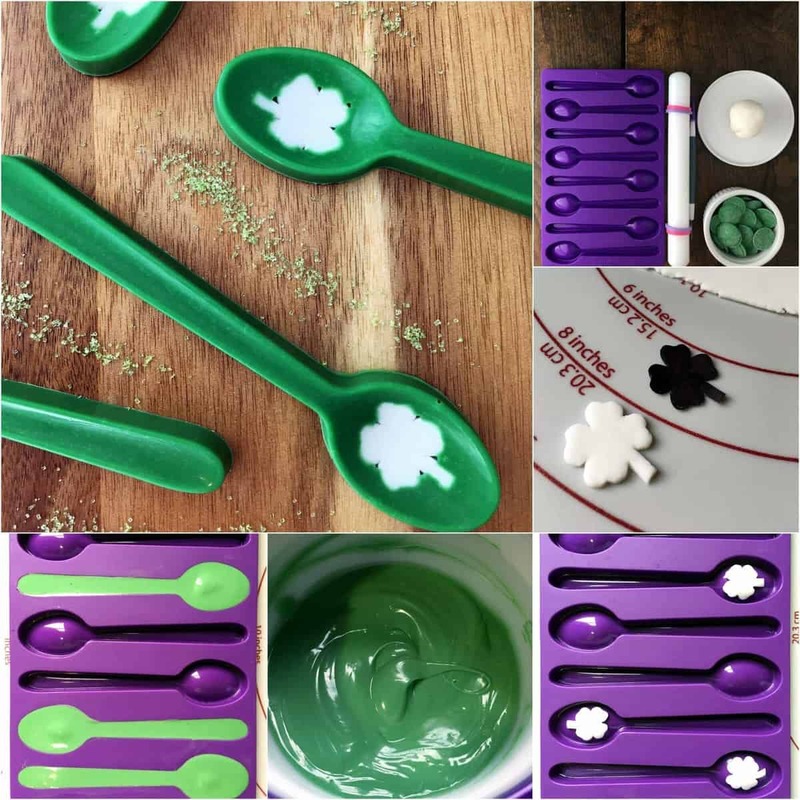 Gently press fondant clovers into the bottom of each spoon. Make sure they are secure before moving to next step. Carefully pop spoons from mold, lifting at both sides to avoid breakage. 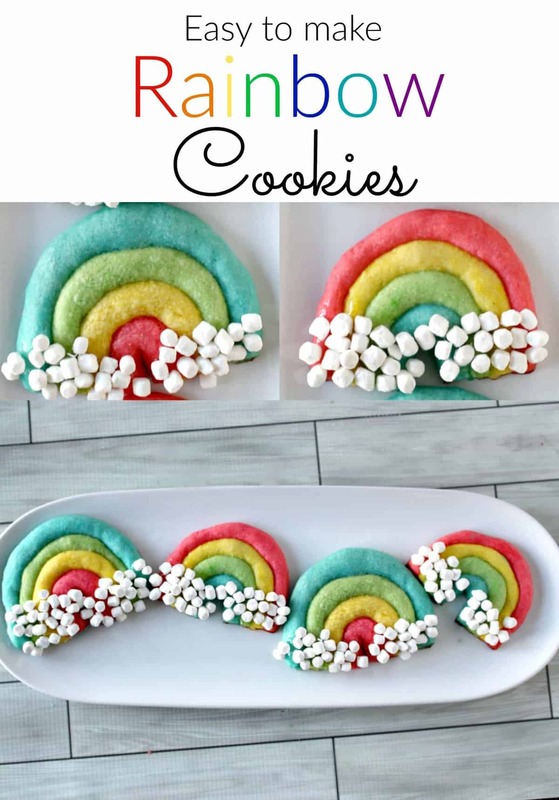 Serve with hot chocolate, dessert, or alone! These four leaf clover spoons are really adorable. You are so creative. Thanks for sharing! 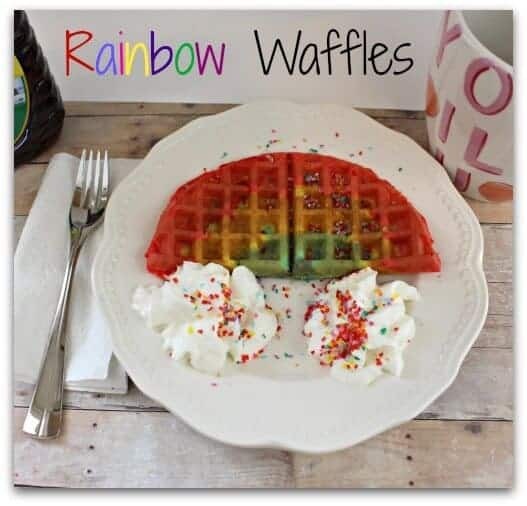 My teens would love to do this.